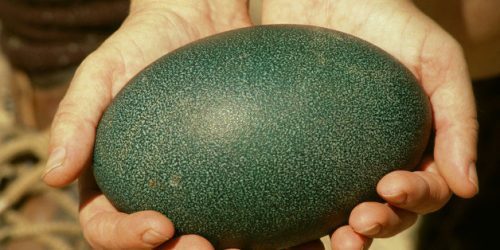 They say “don’t put all your eggs in one basket”, unless your collecting emu eggs, because your basket will only fit one egg! On Farm Chat today, Morro broke the news that the golden gooey goodness within those green shells are highly sought after. They’re high in protein, and offer the equivalent serving of 8 chicken eggs – maybe they really are they’re all cracked up to be! Turns out they’re pretty versatile too, with chefs across the nation creating milkshakes, marshmallows, and even sponge cakes. So whether you like your eggs scrambled, poached or fried, emu eggs are the way too go. Only problem is, where do you find them in the big smoke? You can catch Farm Chat every Tuesday before 8am on Brekky with Kirste and Morro.